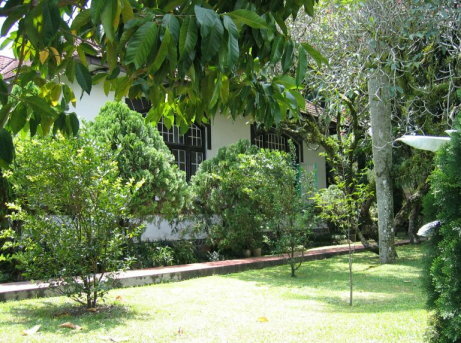 Pematang Siantar is the capital of Simalungun, a large cultural area where before the war a number of plantation companies originating from different part of the world were located, like the Handels Vereeniging Amsterdam, the German Marihat Gemeinschaft and the American Goodyear Company. Siantar is cooler than Medan as it is four hundred metres above sea level. Pematang Siantar has practically unchanged. 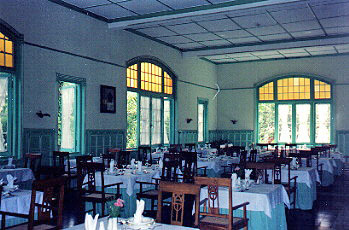 The Hotel Siantar, built in 1912, is still in its original state. Everything is as it was: The art deco lighting against the pillars on the terrace, the stained glass above the windows, the chandelier above the billiard table, the old chairs with rattan seats in the dining room…. Oh, the dining room, the place where I sat on my birthday in 1937, the panels on the wall, the bowed windows, the passage to the kitchen….